With today’s employees being happy to work forever, it’s not surprising to see that 72% of older employees are keen to continue working. 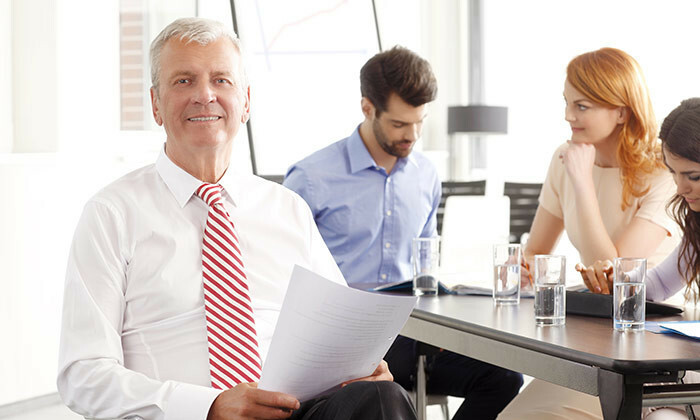 Research from the Commonwealth Bank and Financial Services Council found that 61% of the 500 employees aged 50 and above in Australia polled cited financial security as their main reason for wanting to continue to work. In addition, 15% of them said that they would want to continue working for personal enjoyment. Another 8% wanted to work for the sense of accomplishment while 6% would continue working for freedom and independence. The research also found that regardless of their financial situation, 36% of them were very keen to continue to work for as long as they feel willing and able while another 36% said that they were somewhat keen. Additionally, 71% of respondents said that they didn’t have any concerns about being in the workforce and 49% said that there were no barriers for them to continue working after turning 50. So, how long do these older workers want to continue working for? While most of them (44%) would want to work for an additional one to four years, 27% said that they wanted to work for an additional ten years and 10% would work for another six to nine years. Only 19% of them said that they no longer want to work. With regards to remuneration, 41% of them said that they expect the same pay as any equivalent or younger employee while 30% expected to be paid slightly more and 11% of them expected a substantially larger paycheck both due to their experience and knowledge. Among the employees polled, only 31% have applied for a new job at the age of 50 or over. The majority of those who intend to stay in their current role cited job satisfaction as their main reason. 52% of them stayed in their role because they enjoy the position and the organisation while 24% of them stayed as they see it as a means of income. Only 11% said that they were reluctant to leave because of a lack of job prospects. Open floor plans, dog-friendly policies, and healthy snack cabinets are simply surface-level perks that don’t address burnout, let.. Compared to 2016, more locals are communicating with their foreign counterparts; a 7% increase in interactions. .. Meanwhile, Putrajaya announced new rates on foreign worker levies as it increases from RM600 to RM1,850 for each foreign worker. ..